LIVE SCIENCE: A maternal ancestor to all living humans called mitochondrial Eve likely lived about 200,000 years ago, at roughly the same time anatomically modern humans are believed to have emerged, a new review study confirms. 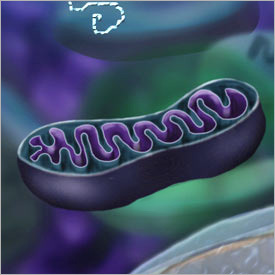 While most of an organism's DNA is contained in the nuclei of its cells, mitochondria also contain genetic material, but much less of it, making it easier to analyze. Mitochondrial DNA contains a region that changes rapidly and can provide a sort of molecular clock calibrated to times comparable to the age of modern humanity, making it a favorite for population geneticists, Kimmel said. As part of the three-year project, Kimmel and Krzysztof Cyran, a Polish researcher, compared the estimates produced by about 10 genetic models intended to determine when mitochondrial Eve lived. They started with data on mitochondrial DNA previously collected from random blood donors. Scientists know the average rate of mutation, so they can look at the genetic variation among pairs of individuals to see when their lineages diverged. But the equation becomes more complicated. "Mutation is producing divergence, but some of the divergence is lost because of random events that occur, for example some populations become extinct," Kimmel said. As ancient modern humans dispersed, some groups settled and grew, while others became extinct. The models make different assumptions about growth and extinction rates, which had the potential to change the estimate of mitochondrial Eve's age, the researchers found. One type of model makes the less realistic, but more manageable assumption that the human population has increased at a smooth, nearly exponential rate. Another more realistic, but more technically challenging type of model assumes the human population has grown in discrete random episodes. But, regardless, all of the models produced estimates placing this ancient mother's age at around 200,000 years. "We actually show if one uses different models, one comes up with a very similar estimate, so this makes the estimate more robust," Kimmel said. The estimates produced by models that assume population growth occurred in discrete, random bursts fell within 10 percent of each other. When taking into consideration models that assumed smooth growth, that range expanded by up to 20 percent. These models also tended to estimate that mitochondrial Eve lived earlier, according to Kimmel. The research was published in June in the journal Theoretical Population Biology.